I didn’t knew country can be mixed with EDM until I’ve listened to Avicii’s. Awesome music. Such an inspiration. Always, my favourite. Have yet attended any of his performance. Gone too soon. I can say Avicii music is just God's instrument in my life to help me pass all these ups and downs I've been going lately. I love all his music since Fade into darkness till SOS. I've experienced sadnesss in ways no one ever could imagine and no even my family have noticed, is not good when you're feeling sad all the time even though you know you have reasons to be happy, and you wanna be happy but you just can't.. Thank You AVICII. Y no se muere quien se va, sólo se muere el que se olvida. I'm for sure not very emotional type of guy, but man this songs allways give me goosebumps! Kind of a good feeling to know that people will remember him because of what liked most, just doing music! cheers mate! I remember when my dad was my football trainer because he Always had your Music on. Now my dad isnt my football trainer but i started training by myself everyday in a year now and every time i get out on the pitch i have your Music on. Its helps me with concentration and it is helping me so am willing to get better. Thank you bro. WE MISS YOU RIP bro. When i lissen to your Music i get goosebumps because your Music is the best, but i Always gets tears. It is so hard to understand that the time Wents so fast. We miss you Tim and you will be remebered for years to come. R.I.P bro. Everybody go on YouTube and search Avicii and play every song that is what i did it will make you feel better and the songs that made us smile every time we listend to him spread this message to all. Sincerely, Carson Campos An Avicii fan forever. Your concert in Paris in 2014 is one of my best memories ever. I'll never forget it. Thanks for your music it got me through a lot. Your music will always be special to me and you'll ever be a person I admire. With love from France! I don"t really know how to explain the feeling I"ve had when I first listen a song from Avicii. But I know I can feel it whenever I listen one of his songs..That s the reason I have a picture of him in my room. Wherever he is now , i am sure he has found peace ! The greatest about an artist and his creation? Is that it's art will live on for ever. Avicii isn't dead. Atleast not in our hearts. We, we will always love and remember him. Avicii is a true legend.His music is always amazing to listen to. Avicii war und wird immer einer der besten DJ's der Welt bleiben! Seine Songs leben weiter und für das bin ich sehr dankbar. Danke Tim für alles und Ruhe in Frieden, RIP! "If I die, don't cry look at the sky and say goodbye".❤💔 We love you avicii. I have to admit I was never a fan of EDM, but when i first heard Levels i was sold, started following your work, wishing I could go to one of your concerts. My taste in music changed and all because of you. I was happy when I listened to your songs I still get emotional and that is what Music is about feelings,forever grateful and will miss you. Much Love. I I never met you, I could never go to one of your concerts but listening to your songs always makes me feel good, and it makes me feel like I've known you all my life. Losing you was like losing a good friend, a great person. You have left us your music, but you also leave us without your talent. Rest in peace Tim. Miss you, Avicii. Your music is the way help me to create new tracks. I heard your music when I surfing internet. Then I start dive more into EDM just because of you. We all love you Avicii! Rest In Peace! Avicii, for me, meant happiness. So many of Tim's songs had such raw, positive power and dragged me out of many dark places. I can remember, when I was at my lowest, my friend made me blast Levels and forced me to dance around, laughing and fist pumping in my room. His music, to me, is symbolic of joy and friendship. I'm sorry you couldn't find peace here with us, Tim. We miss you. AVICCII fue el que me inspiro con sus músicas tan hermosas. Avicii is childhood for me. All the summer days we were sitting outside and listening to his music. The world was friendly and good. We had no problems. He will be always in our hearts. His music was so real and infinite. Tim, never forget, that you and your music impress and amaze so much people. You brought the people together with your music, no matter what skin color or religion or something else. Rest in peace, genius. You earned it so much. Live a life you will remember. You did it. Avicii. you were our hero. I and my son had real hard times when we studied in Australia. But we could very relieved from your songs. My son really loved you. You will be our heart forever. We miss you lot. Gracias a Avicii me gusta la electronica, su musica me enseño a ser yo misma y vivir mi vida al limite. Soy muy feliz escuchandola. Te extraño, todos te extrañamos. Siempre seras un genio para mi. Avicii, you inspire so much of us all over the world. Your music will live through time and in our hearts forever. You helped me so much in hard times, made me happy in the good ones. I really love the lyrics of your songs. Each of them is a story and I can identify to some, dream of others. I miss you, we miss you. I decided during my internship in Nepal to tattoo one of your famous song, Wake me up. I really identify myself to this song and woke up during this time. Thank you Tim ! Avicii made the most amazing songs in his genre,like Without You,Addicted To You,Waiting For Love, and Wake Me Up. His ideas for his beats were extremely creative and were ideas that had never been tried before (like mixing folk into EDM on Wake Me Up and Hey Brother).He was the best DJ ever and he will be extremely missed. His music made me figure out that we have only one chance to live in this world, so we must enjoy it. I never thought that the electronic music would make me feel everything ; with Avicii, I find so many feelings because the one song tell all in three minutes . with his music I live every moment of my life. 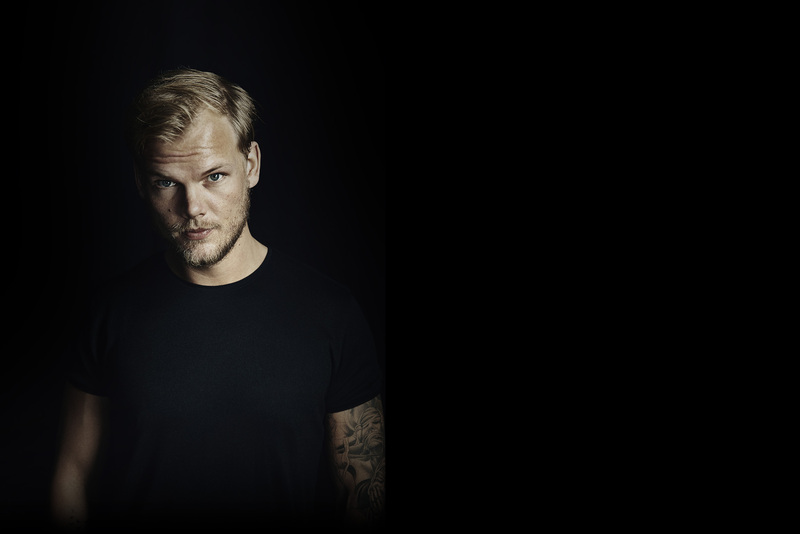 llorare por siempre con su muerte cuando lo conoci me di cuenta de que me sabia sus canciones desde mucho antes te extrañaremos desde Ecuador para el mundo vuelve "las leyendas no mueren se hacen dioses te espero"
This first time i heard off Avicii was when Wake me up came out. I loved it! On garde tous en mémoire un son d'Avicii, je les aimes tous. C'était un génie, un de plus parti trop tôt. Il avait sa place dans le club des 27... I LOVE YOUR SONGS FOR EVER!!! A year without you Tim. A lifetime of great music. Thank you! Avicii was one of the reason why i started making music !!! man you still in our hearts Rest In PEACE !! Cambiaste mi vida. gracias por todo, hermano..
Avicii, you were such a great artist. I love your songs. R.I.P. Las personas mueren cuando las olvidan y tu vives en el corazón de cada persona que te ha escuchado. Genius. The only word to describe him, he spread smiles and happiness across the world. Absolute Genius. life is eternal and so is his music, it is deathless. thank you for the music. the music that change all of us. you well also be remembered all ways and forever . he changed my life by his music he changed me .! He made me happy listening to his music after school.